Now that Apple’s iPhone 6s and iPhone 6s Plus smartphones are finally here it’s time for network carriers across the world to go into fully fledged aggressive marketing mode. Carriers are extremely keen to tie individuals down to minimum-term contracts and see the unveiling of a new premium device like the iPhone 6s as the perfect opportunity to do just that. United States T-Mobile appears to be the first to play its’ marketing cards, offering an iPhone 6s for a total financial outlay of just $524 over an eighteen month term as compared to the $649 retail tag. The promotion falls under T-Mobile’s “JUMP! onDemand” program that exists to allow users to switch to the latest phones without having to suffer a waiting period of a hefty upgrade fee. Those who participate, are simply invited to trade in their old smartphone for a new one. For the 16GB iPhone 6s and 6s Plus, there is zero upfront cost, zero upgrade cost, and zero waiting; can’t be bad. 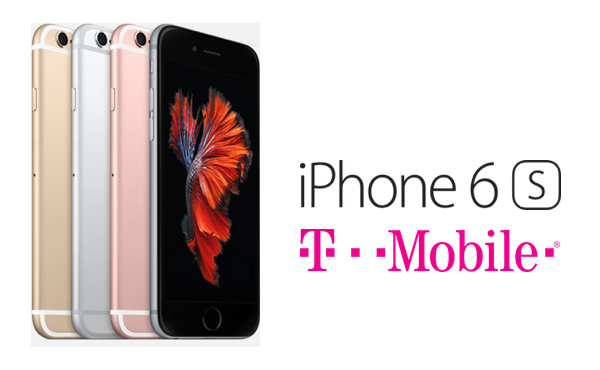 T-Mobile is attempting to promote the JUMP program and capitalize on the excitement surrounding the iPhone 6s, by offering the 16GB entry-level model for a $0 initial fee, and just $20 per month over eighteen months. Those figures represent a substantial $125 saving over the whole term. Those who are still deeply in love with the 6s at the end of the term can opt to pay an additional $164 to own the device, or hand it back and walk away with one of the latest smartphones to hit the market. The larger iPhone 6s Plus is also in on the deal, but will be subject to an additional $4 a month charge taking the monthly outlay to what is still a very reasonable $24. If that’s not enough to entice you to allow T-Mobile to handle your iPhone needs, then there’s also the company’s lifetime coverage guarantee. T-Mobile is so confident that it can provide extensive mobile coverage to the vast majority of the United States that it has introduced a guarantee to protect those who aren’t happy with the level of service received. The lifetime coverage guarantee is available to all JUMP! On Demand devices with Extended Range 4G LTE, including the iPhone 6s and iPhone 6s Plus, and will see the company promising to refund “every penny” paid during the first month of having the smartphone if the user simply can’t get satisfactory coverage. If the complaint falls outside of the first month then T-Mobile will SIM unlock the iPhone to allow it to be used with any network. If this type of deal tickles your fancy then you best act quick as soon as pre-orders go live. The company has stipulated that the offer “won’t last long”. 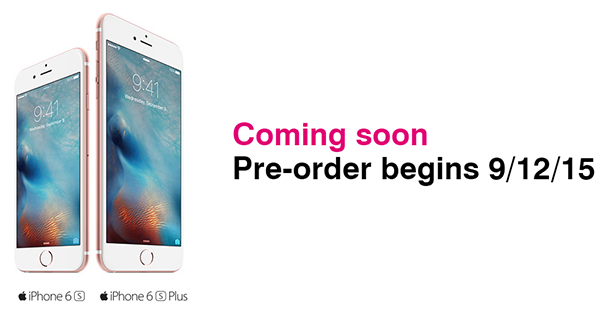 To get started, head over to T-Mobile’s pre-order signup page for iPhone 6s and iPhone 6s Plus here. No discount on the 6S plus? I skimmed this, but it’s not really “$524″… it’s the value of your current phone as well…so you pay more, if it is a valuable phone. Love to see the 64GB pricing.